Mercedes-Benz has revealed its all-new C-Class, and it promises to set new standards in its class when it hits world markets in early 2014. It’s larger yet lighter than its predecessor, with its new aluminium-steel hybrid body being one of many measures that makes the new sedan up to 100kg lighter than its predecessor. Measuring 4686mm in length, the new C is 95mm longer than before, with an extra 80mm having gone into the wheelbase to improve occupant legroom. The new C’s lighter weight and a brand new range of engines have conspired to reduce fuel consumption by up to 20 percent. It is stated that, only three engines will be available at launch. The petrol line-up kicks off with the C180, fitted with a 1.6-litre direct injection turbopetrol engine that develops 115kW and 250Nm. Next up is the 2-litre C200, which offers 135kW and 300Nm. The sole diesel option, for now, is a 2143cc unit that pushes 125kW and 400Nm. 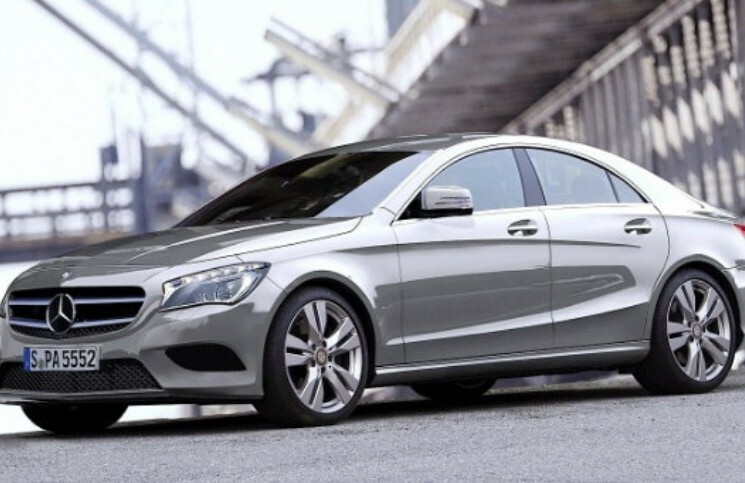 Mercedes-Benz promises to expand the range at both ends shortly after launch. A particularly frugal new 1.6-litre supercharged diesel will join the range, offering outputs of 85 or 100kW and 280 or 300Nm of twist and a C 300 BlueTEC diesel-electric hybrid model will join the range in due course, offering 150 + 20 kW. On the petrol front, buyers can look forward to additional four-cylinder motors offering up to 175kW and a six-cylinder engine rated at 245kW. Depending on the engine in question, the C-Class will be available with either a new six-speed manual gearbox or a 7G-Tronic Plus autobox. Big news on the suspension front is that the new C-Class will be optionally available with Airmatic air suspension – a first in this segment. The suspension provides continuously variable damping at both ends and drivers will be able to choose between four settings, ranging from ‘Comfort’ to ‘Sport +’. Of course, the C-Class will come standard with conventional steel suspension, and the system boasts a new four-link front axle and revised five-link rear axle. Selective damping is available for those opting for one of the three optional steel suspension set-ups: ‘comfort’, ‘lowered comfort’ and ‘sport’. All C-Class models will be fitted as standard with Merc’s electromechanical Direct Steer steering system, which boasts a variable steering ratio. The interior has also undergone something of a radical redesign and Mercedes promises that it will feel like an “upgrade to a higher class of travel”. As with the new A-Class, the new C’s dashboard features five round air vents and a free-standing central display – in this case it’s available in 17.78cm or 21.33cm sizes, the latter fitted in conjunction with the Comand Online option. Other new features include a touchpad with handwriting recognition and a Head-up display. Naturally, the new C will also be available with a whole raft of assistance systems, including standard Attention Assist and Collision Prevention Assist Plus (with auto braking). Optional gadgets include Distronic Plus with Steering Assist and integrated Stop Go Pilot (a semi-automatic traffic jam assistant), Active Parking Assist for parallel and ‘end-on’ parking spaces and Adaptive Highbeam Assist Plus. More information about the South African range will be revealed closer to the launch, which is likely to take place in the second quarter of 2014. In East London it is due to be display at the 1st Annual BEATMagazineSA Awards in Guild Theatre on the 12th July, East London.